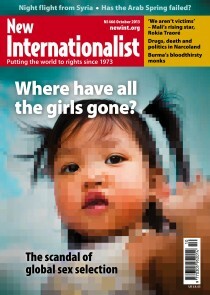 October 2013 - Where have all the girls gone? Argument: Has the Arab Spring failed? Podcast: Is there still time for a renewable future? Event: What does it mean to be an "internationalist" today? This page was last edited on 9 November 2013, at 16:05. This page has been accessed 13,988 times.